On May 23rd after a long life of almost 91 years my maternal grandmother departed this earthly realm. Having lost my mother in April this really impacted me. So I want everyone to know, slowly I am healing. But now on to the subject at hand. Today is Father’s Day here in the United States, I am not certain about other countries. And comedians and news commentators alike indicate Father’s Day is a very poor second to Mother’s Day (2nd Sunday in May). My father after a not so long life as well as 31 years of marriage succumbed to many illnesses and died. For the almost 31 years of life my father was a part of my life. I was raised in a two parent household where my father instilled in me the importance of self-worth. His primary advice centered around the fact that a man should NEVER hit or abuse a woman. He said even the weakest man is usually stronger than a woman. My father also lived this fact by example always respecting my mom. One of the funniest stories that I have about my father is when my husband came to pick me up for a date. My father was in the process of going to work, he was an armed security guard. While cleaning his gun and putting in bullets, my father asked my then boyfriend “what are your intentions with my daughter?” My then boyfriend now husband smartly answered, “the upmost honorable attentions, sir”. I do want to state that my father was not perfect and did have issues. But he never allowed anything to lead him to hurt me or my mom. From my dad I garnered a love for music and cooking. He was the BEST grillmaster EVER. I have yet to eat home grilled ribs better than my dads. He also as most men loved sports especially football and Da Chicago Bears. I did not mention earlier but my daddy breathed his last breath on Sunday, June 15, 1997; it was Father’s Day. I flew in to my hometown and saw my father two hours before he died. 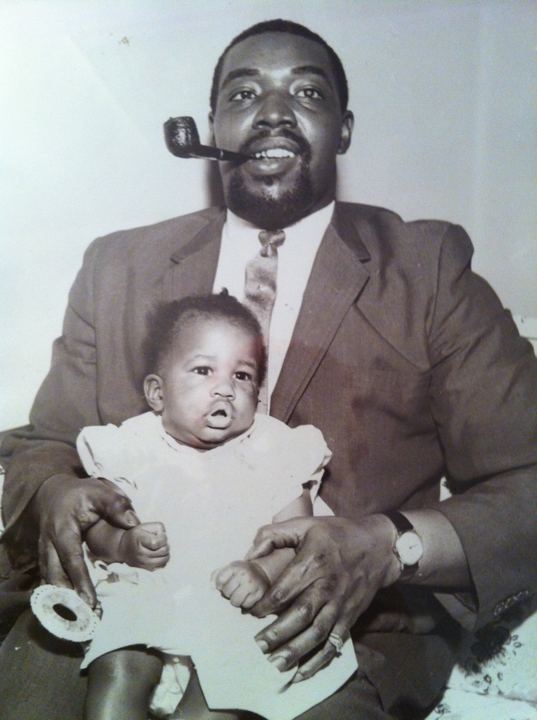 So for me today is a day of reflection and remembrance of the man I called daddy.